Featuring a freestanding design and extract speeds reaching 300 G-Force, ExpressWash Washers are simple to install, highly efficient and offer the customer-craved ProfitPlus™ Control. 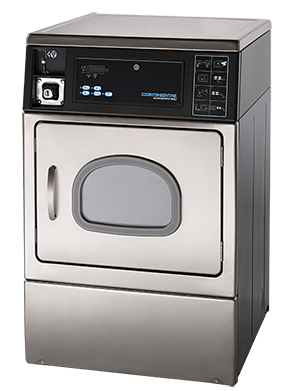 These vended washers remove more water from every load, which cuts dry time and natural gas usage–allowing customers to complete laundry in less than 60 minutes! ExpressWash Washers cut overhead costs and bolster profit potential! The ProfitPlus Control is highly programmable and allows the customer to add an EXTRA WASH, EXTRA RINSE and/or DELICATE CYCLE. Backed by a limited 10/4/3-year ContinentalCare™ Warranty. Energy Star qualified. 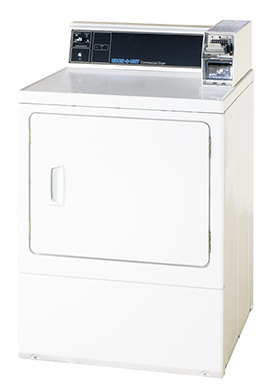 The Econ-O-Wash Washer uses just 27.3 gallons of water per load, features a user-friendly control and generates 710 RPM spin speeds. Available in gas or electric models, it can be stacked with a matching dryer. 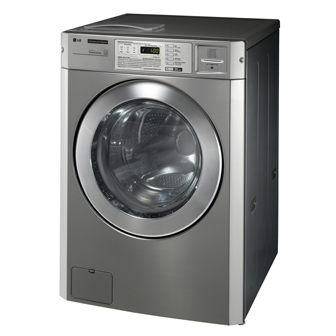 Energy Star qualified, LG Platinum Washers are engineered for effective, efficient and quiet operation, LG Washers use just 11.2 gallons of water per load and harness auto-balancing and inverter-drive systems for reliable, smooth operation. 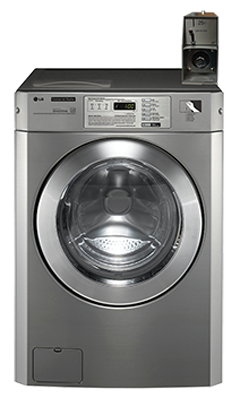 The LG Washer control allows programming of vend price, cycle time, cycle parameter and spin speed, while the NeverRust™ Stainless Wash Tub delivers durability for years of continued use. Simple to use, LG Washers offer a modern, clean look. Stack washer/dryer models available. 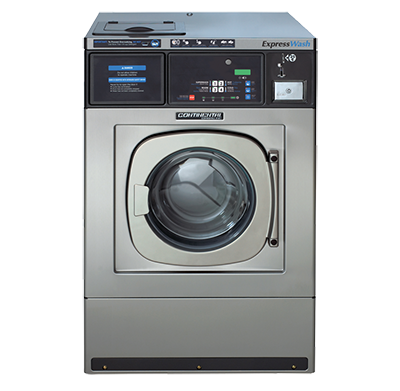 E-Series Dryers are single-pocket, 25-pound capacity dryers delivering efficiency, ease of use and a quick dry. 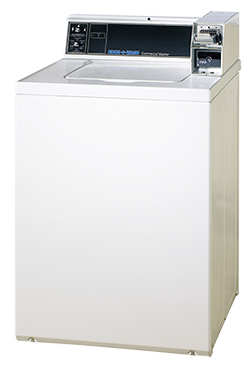 They are great small-load solutions for vended laundries, and available in gas or electric models. Backed by a limited 3-year ContinentalCare™ Warranty. Available in single-load or stacked double-load capacities, Econ-O-Dryers feature an oversized door for easy loading and unloading, and improved tumble action and airflow technology for a quicker dry. Backed by a limited 3-year ContinentalCare™ Warranty. Offering more drying capacity and performance in a smaller footprint, LG Platinum Dryers take on more laundry and deliver improved drying performance, as well as fewer wrinkles and tangles. The control offers a digital display that details vend price and cycle time countdown, while LED lights indicate cycle status. Simple to use and ergonomic, customers load the dryer, select one of the four fabric options–White and Color (High heat), Perm Press (Medium heat), Delicates & Knits (Low heat) or No Heat. 9 cu. ft. wash basket. Porcelain top and lid, rust-proof stainless steel torx control panel security screws. Belt drive system helps reduce downtime for residents while increasing profits for property owners. Overload protector, separate temperature control and automatic load sensing ensures optimal consistency wash after wash.
Balance ring adapter with a clothes guard for superior protection. Industrial strength water inlet hoses. Installed with a $1.50 factory coin slide and coin box. Automatic electronic temperature controlled regular and gentle cycles for optimal efficiency and performance. High speed spin on all cycles to help reduce dryer time. Powdered paint top lid and wrap cabinet. Serviceable from the top and bottom. 1/2 HP motor with built-in overload protector for enhanced safety. Includes commercial grade water inlet hoses and polypropylene drain and hose. CEE Tier II and Energy Star qualified. High Speed Spin significantly reduces dry time. Coin slide, coin drop, card and non-coin payment compatible. Combination for three cycles and three temperature options. Automatic water level sensing control for optimal efficiency and performance wash to wash.
Microprocessor controls with time remaining display. Automatic detergent softener and bleach dispenser. Durable industrial grade cabinet and top with integrated backsplash. High velocity airflow system delivers great drying performance venting up to 100 ft.
Reversible door with heavy-duty hinges to accommodate all multi-housing laundry room layouts. 1/3 HP motor with built-in overload protector. Heats with either 24 BTU burner or electric heating element – 5,600 watts and 240V. 7 drum capacity allows large loads to tumble and spread helping reduce drying time. Four roller suspension with permanently lubricated bearings. Can be used with coin slide, coin drop or card reader payments. Powdered paint top and cabinet. Heats with either two elements rated at 5600 watts and 240V OR 120V, 60Hz and 15A circuit breaker branch. 2 Motors 1/3 HP with built-in overload protector. Upper dryer has 3-way venting while the lower dryer offers 4-way multi-vent options. 2 cu. ft. capacity washer and 6.7 cu. ft. capacity dryer. Maximum spin speeds extract more water for shorter dry times. Microprocessor control are easy to program and the Simple On-Touch Cycle selection is user-friendly for residents. Coin-drop, card reader and non-coin payment compatible. Learn more about Whirlpool multi-housing laundry equipment to outfit your property with top-notch washers and dryers for your residents by calling our laundry experts at 1-800-688-0020 or contacting us online to start a conversation today. Need a Quote? Get In Touch! Whether you decide to own and operate the coin laundromat independently, or choose a full-service managed laundry solution, SEI experts are here to assist you.